Crestor can offer an effective way for individuals to handle their high cholesterol, but it does come with some side effects. While Crestor is very well tolerated by most users, there are a few commonly occuring side effects such as headaches, nausea and muscle pain. Other Crestor side effects can affect the liver, kidneys and pancreas. With the help of your doctor, you can determine your risk for these effects and decide if Crestor provides the right solution for keeping your cholesterol levels in check. These side effects are typically mild. If the effects persist or are particularly troubling to the patient, a doctor should be consulted for additional treatment options. In most cases, the side effects can be treated without the need to eliminate the medication entirely. If any of the above severe side effects occur, you should contact your doctor immediately. Many are indicators of a more serious condition that must be treated as soon as possible. Some patients may experience side effects that include muscle tenderness and weakness. This is often accompanied by a fever. If you experience any of these symptoms, contact a doctor immediately as it may be a sign of a serious condition. These symptoms can indicate a muscle condition known as rhabdomyolysis that may result in kidney problems. Patients over the age of 65 and those with existing kidney and thyroid problems are at the greatest risk for these dangerous Crestor side effects. Any side effects of crestor that indicate a problem with the liver should be dealt with quickly. 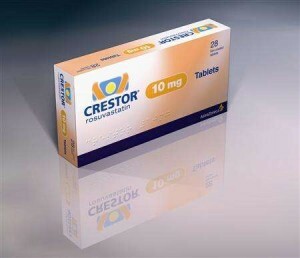 Crestor use may cause severe liver damage if these warning signs are ignored. Yellowing of the eyes and skin, dark urine and pain in the upper right abdomen can all indicate a problem with the liver. Patients on Crestor should also be tested regularly for elevated liver enzymes, which is another one of Crestor's side effects. Both the kidney and the pancreas can be affected by Crestor. Knowing what to look for to identify problems in these areas may help you catch problems early on before the damage becomes severe. Nausea, vomiting and severe pain in the upper abdominal area are indicators of pancreatitis. Noticeable changes in the amount of urine produced is a sign of Crestor side effects concerning the kidney. Consult a doctor if you experience any of these changes. Crestor can affect many areas of the body, but with careful monitoring of the patient’s health, it is possible to catch most adverse effects early on. By working closely with your health care provider, you can adjust your Crestor doses and deal with any possible side effects easily. The results will be lower cholesterol, reduced risk of heart disease and other complications associated with dangerous cholesterol levels, and a healthier body.